The Christmas season is all about sharing and giving! 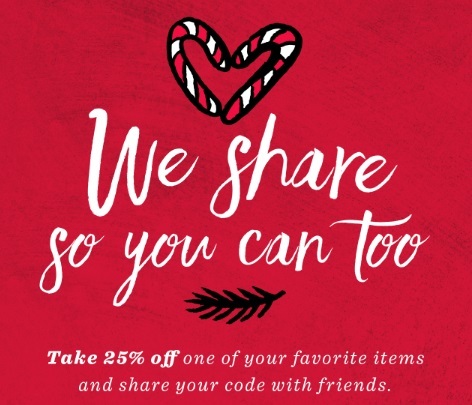 Starbucks is offering 25% off one of your favourite items at their online store! Enter the promo code 1912PIKE at checkout to get the discount. Offer is valid November 21-24, 2016. Cannot be combined with other offers. Excludes Starbucks Reserve Coffees, Sale items, Coffee Subscriptions, Coffee Refill Tumbler, Starbucks Cards, Electric Brewing Equipment and Electric Accessories. Click here to browse Starbucks Store Online.